We thought our first blog post on the brand new site should be reserved for something pretty special and this most definitely is! 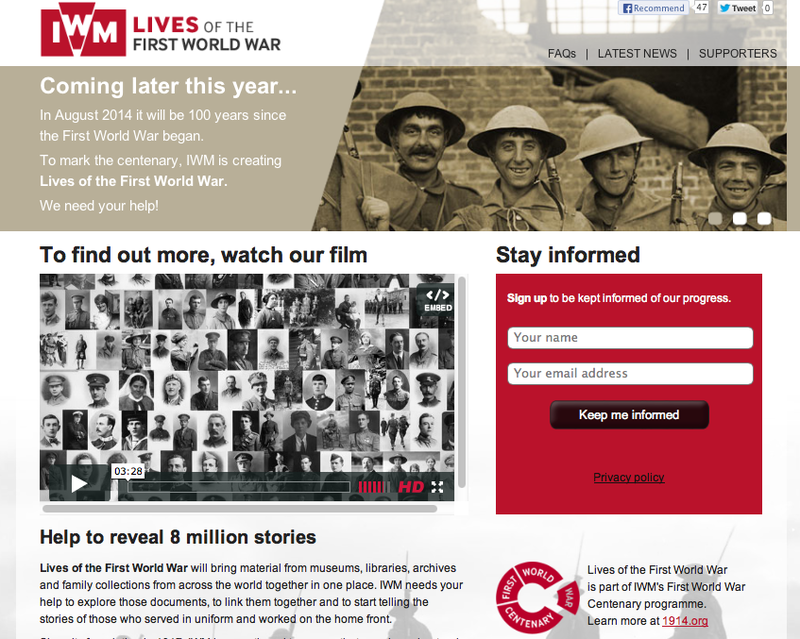 For the last two years we've been working with Imperial War Museums on a number of transmedia and broadcast projects for the First World War Centenary. The one closest to our heart has been announced today and we can now share it with you. A unique partnership between IWM and Bright Solid, Lives of the First World War sets out to tell the stories of the 8 million men and women who served Britain and the Commonwealth during WW1.The ground-breaking platform, which will launch at the end of 2013, will bring material from museums, libraries, archives and family collections from across the world together in one place. Like everything we do at Hark the focus of the project is on telling good stories to a large audience. 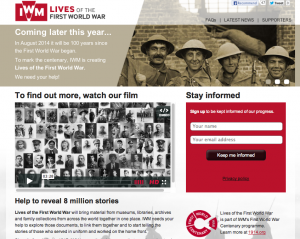 Perhaps fittingly our collaboration with IWM began after Matt Locke's The Story conference in 2011 and since then we have been working on the storytelling aspects of the project to bring the data to life. More will be revealed later in the year but for now please check out the Micro-site and our film to learn more about this exciting project.